Fifth graders are a special bunch. Sweet and curious. Silly one minute then suddenly willing and able to ponder the problems of the world. They are on the brink of a transition and must not be rushed. This is the time to feel safe and secure while just sticking a toe into the Middle School waters. Our goal is to make this a year of wonder. A time for children to discover they have a voice and a real contribution to make in class. A time to try new things and make friends that will last forever. A time to begin discovering who they may one day like to be. I remember the first week of St. Luke's like it was literally yesterday. My teacher was Mrs. Olsen and she could not be sweeter. She was always so kind and so welcoming of everyone and set up a culture within the classroom of kindness. The people who were in that class with me—I'm still super close with and I think we will always have that." The solid foundation built in fifth grade prepares students to take off academically. Ten out of our last fourteen Valedictorians and Salutatorians started at St. Luke’s in fifth grade. When children are known and encouraged by their teachers, their confidence and abilities grow. It all starts here. Balancing a traditional curriculum—emphasizing strong math, critical thinking and writing skills—with interactive, hands-on learning and exploration, our fifth-grade academic program sets the stage for a positive school experience and success. A sense of belonging is essential to the success and well-being of every student. St. Luke's fifth grade is a safe and secure bridge through the changes and occasional turbulence that accompany adolescence. From day one, teachers and students form trusting relationships. They create a haven that becomes a springboard into new adventures beyond the comforts and beautiful memories of the fifth-grade hallway. The best of both worlds—fifth graders enjoy a dedicated wing and place to call their own, but also the opportunity to explore and engage in all that St. Luke’s offers—an extraordinary designLab, first-rate art studios, language labs, music recording studios, theatre arts and a wide range of after-school clubs and activities. Here are some of the learning experiences fifth graders participate in throughout the school year. 5th graders learn to code and operate tools in St. Luke's state-of-the-art designLab. Learning that lasts—the Cut the Rope project is a favorite hands-on science unit where students bring a popular video game to life and see firsthand how scientific principles work. Fifth graders enjoy Common Reading Time—a 15-minute "pause" created for reading a favorite book or magazine. Fifth graders love to serve the greater good. Kiva is just one example of service initiatives led by our 5th-grade students. Fifth-grade thespians audition for roles in the three Middle School theater productions performed each year. Where will a St. Luke's education take you? Above & beyond. It all starts here in fifth grade. Fifth grade is a truly magical place. It's the perfect combination of nurture and challenge so kids can be successful. The teachers are AMAZING. Starting their journey early gave my children a solid foundation and a level of confidence that just kept building." Read about Andrea's experiences: Parent Perspective: The Private School Experience. It's rare to find a place where children feel safe and comfortable and get to push their boundaries. Our fifth graders have their own dedicated wing with homeroom teachers, classrooms, and lockers, yet they also have the freedom to explore the campus. They love to get to know and learn from older students while still having the security of their fifth-grade friends and teachers. We love watching their confidence grow, knowing each day they're a little more prepared for their transition into Middle School." Fifth grade is a fundamental year here. The quality difference between my sons' experiences—one in public school and one here at St. Luke's—is enormous. So much more is expected of my son here, and that is what makes him such a good student today." 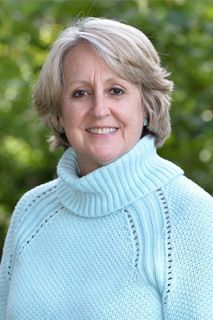 Jane was appointed in September 1999 as a fifth-grade teacher. She graduated Phi Beta Kappa from Wellesley College and went on to earn her MA and M.Phil. from Columbia University, where she was also named a President's Fellow. Melissa has been teaching 5th-grade Humanities and Math at St. Luke's since 2006. Ever since Melissa was 5 years old, she knew that the teaching profession was where she would be the happiest. She believes that children are the seeds of the future, and it is her job, as the teacher, to provide these “seeds” with the proper nourishment they need to grow, achieve and prosper. 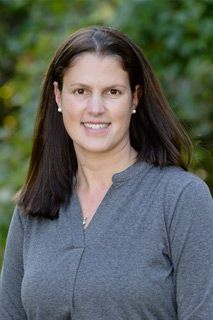 Melissa lives in Norwalk, CT with her husband, Jonathan, and 2 sons, Michael and Joseph. During her free time, Melissa enjoys spending time with her family and friends, watching television, and reading. Ty joined the Fifth-Grade Team in 2012 after spending 3 years teaching Language Arts at the American Overseas School of Rome. He brings a wealth of experience to our program, having also taught English, writing, and math for 10 years in schools in Colorado, South Korea, and Japan. He loves to travel and document his visits with photography. Ty came to teaching as a second career after working in the customer service industry. In his words: “Different customers now, and much more fun to work with.” Ty earned his Bachelor’s degree at the University of Northern Colorado in Greeley. Chris Mantz began coaching at St. Luke’s in 2009, but in 2013 moved into teaching on the Hilltop. 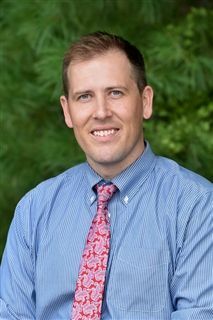 Chris teaches 5th grade science, as well as Honors Biology and Anatomy and Physiology to the 9th graders. He is an avid cyclist, ski racer, fly fishing instructor and guide, summer camp director, and former professional photographer.